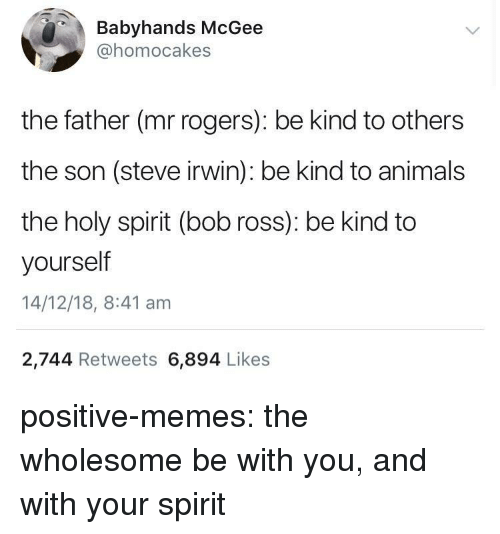 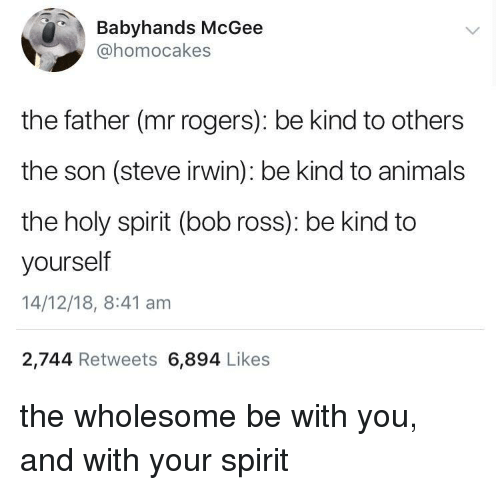 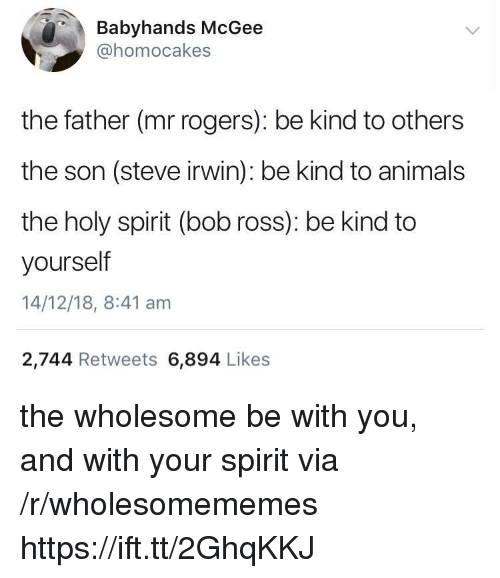 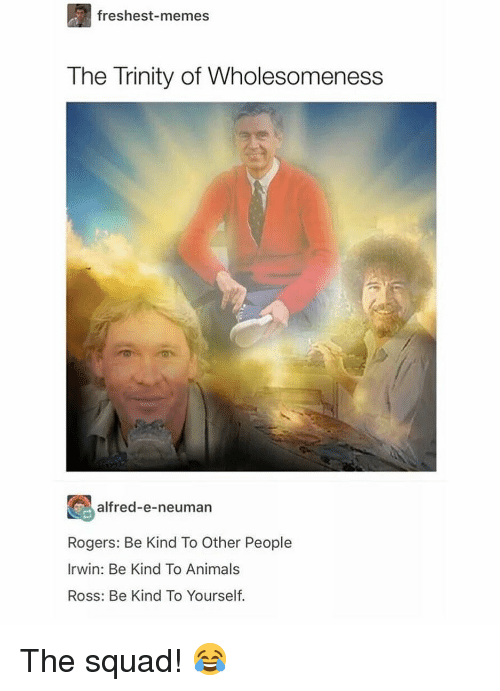 Animals, Homie, and Tumblr: The Trinity of Wholesomeness rich-homie-john: alfred-e-neuman: Rogers: Be Kind To Other PeopleIrwin: Be Kind To AnimalsRoss: Be Kind To Yourself. 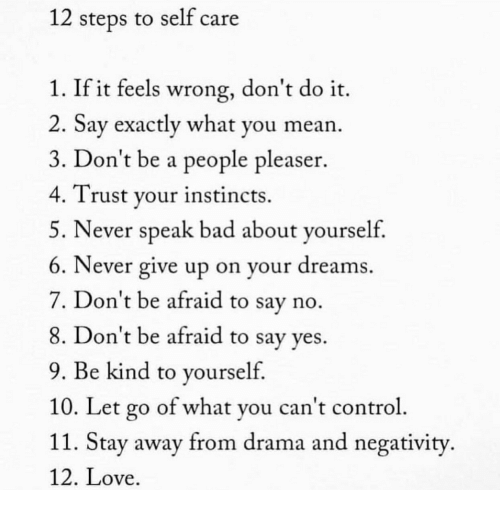 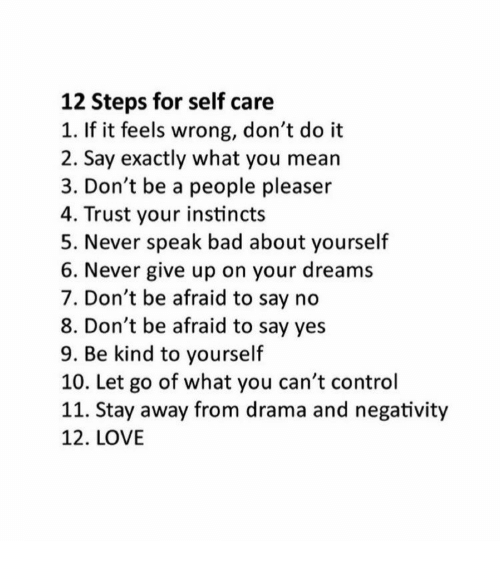 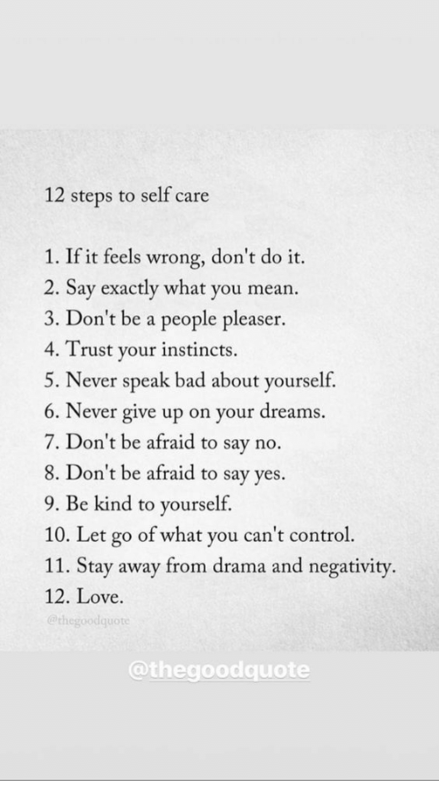 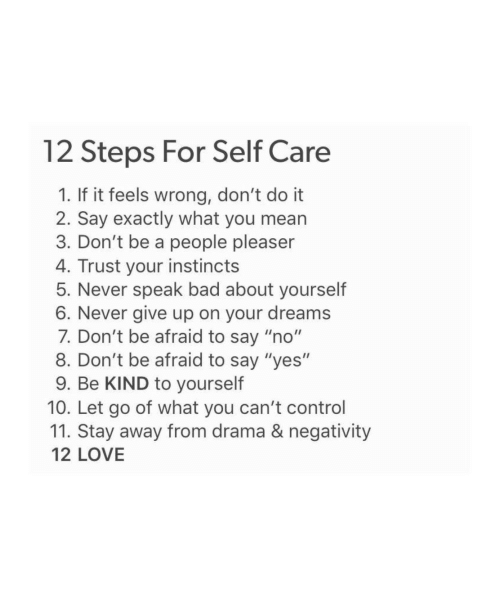 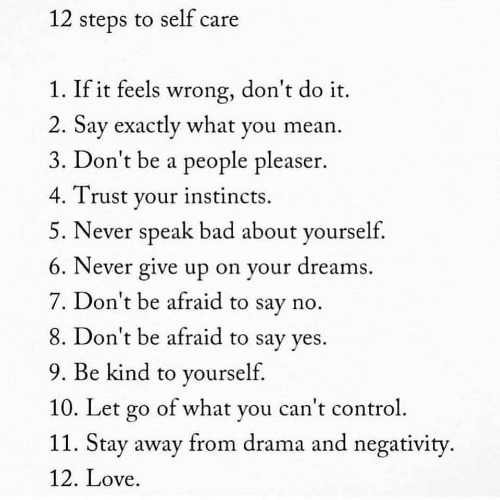 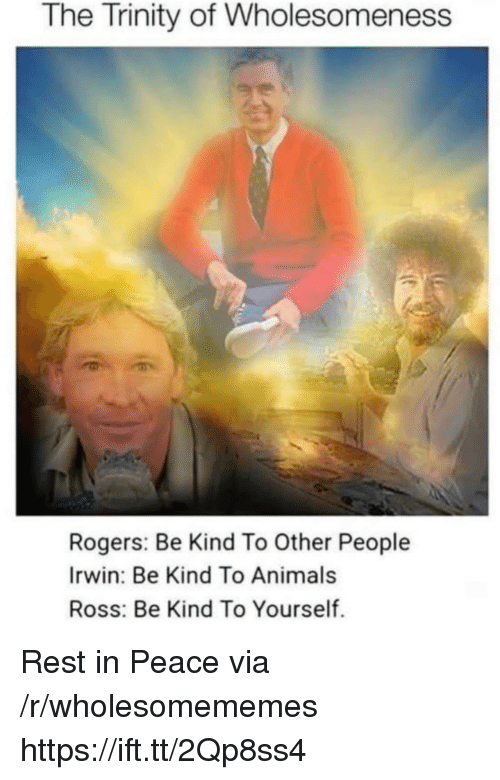 rich-homie-john: alfred-e-neuman: Rogers: Be Kind To Other PeopleIrwin: Be Kind To AnimalsRoss: Be Kind To Yourself. 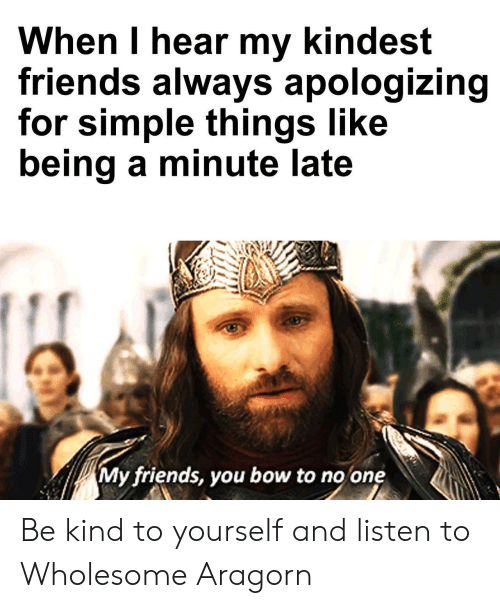 Its a direct order, soldier. 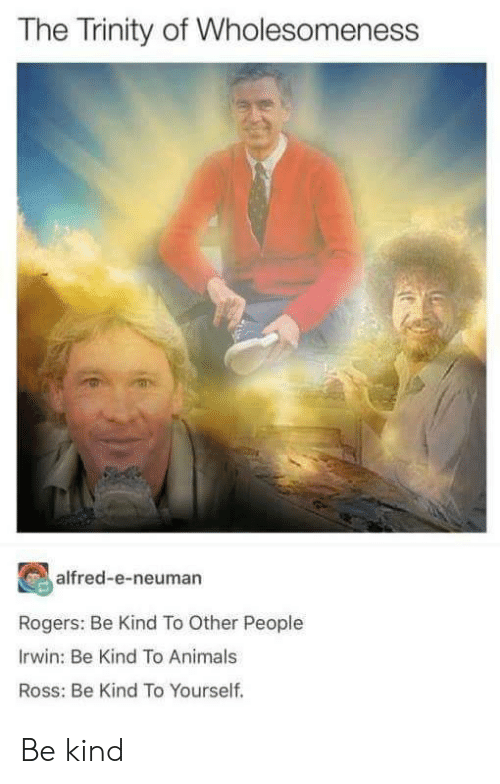 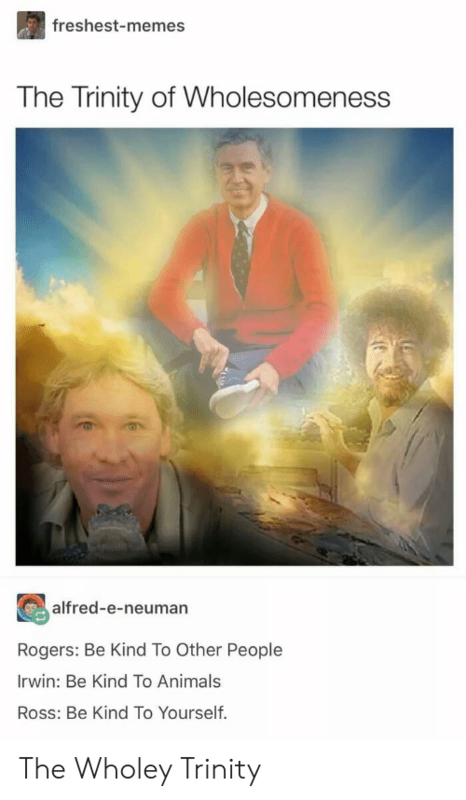 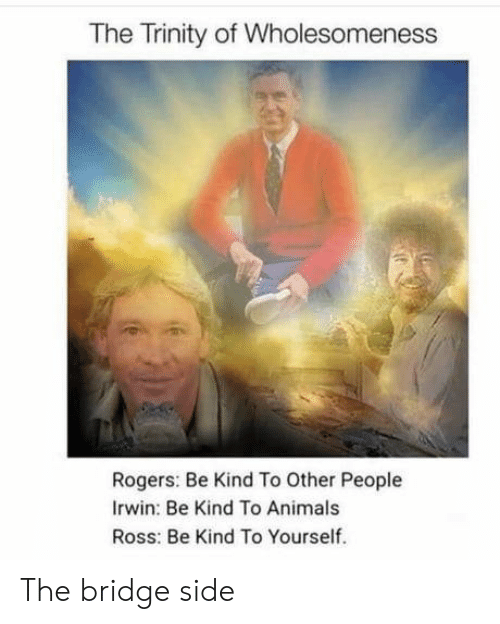 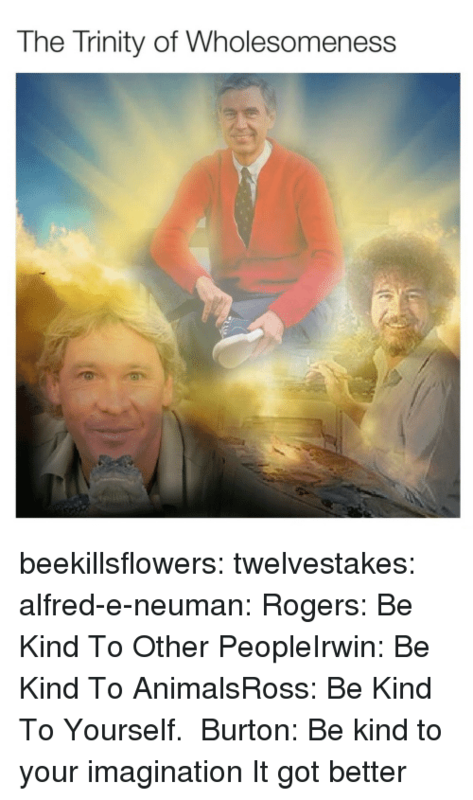 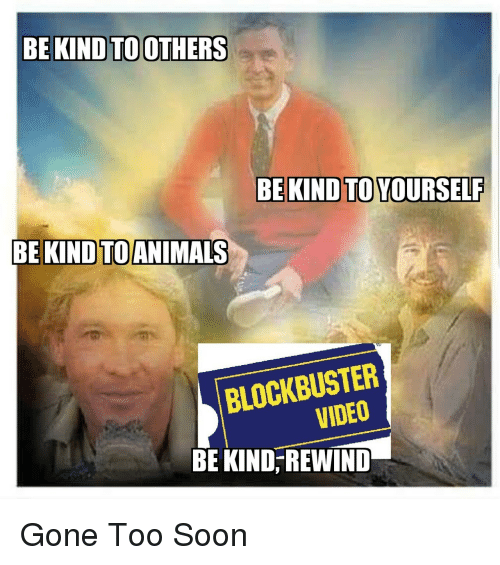 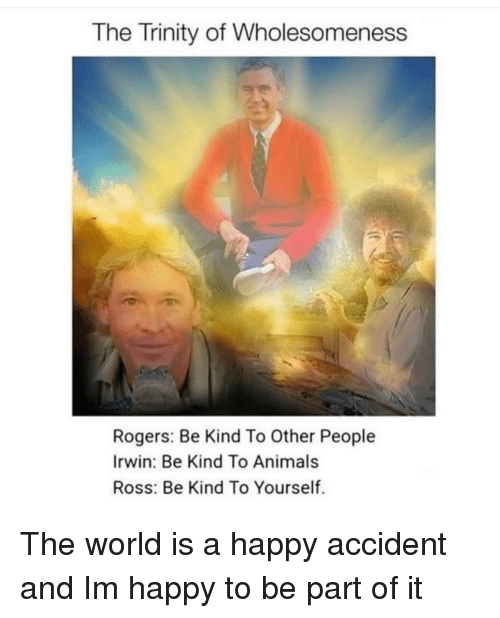 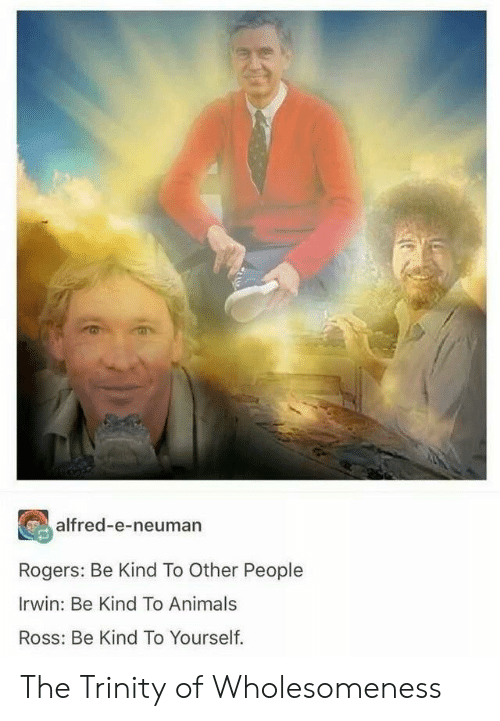 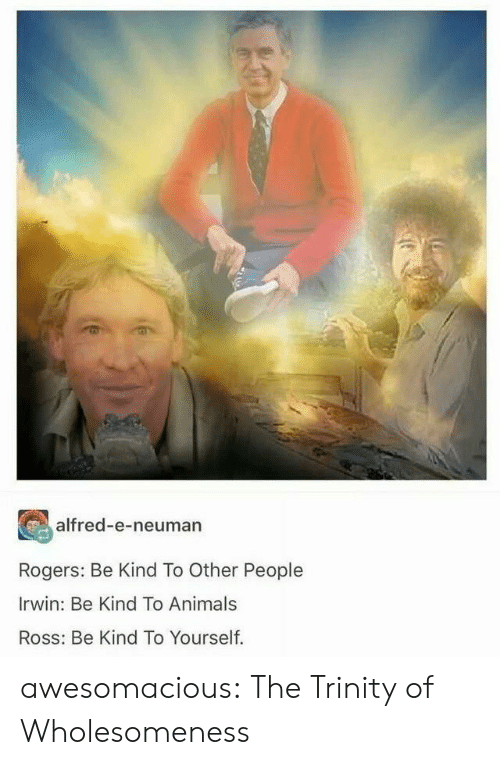 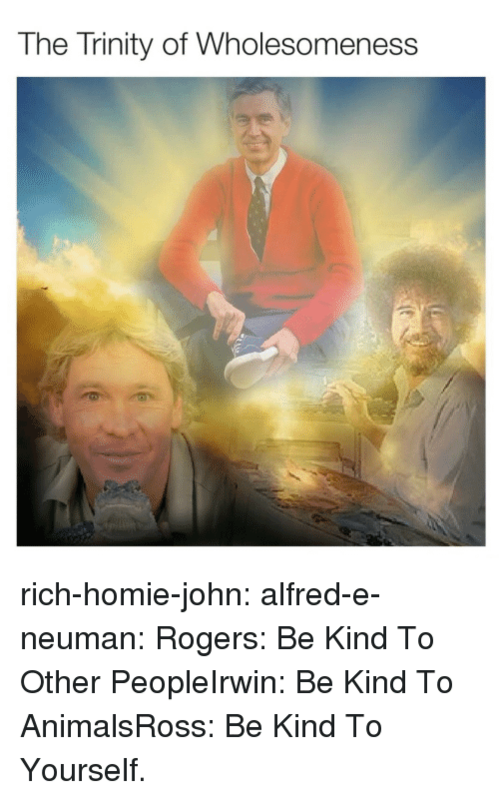 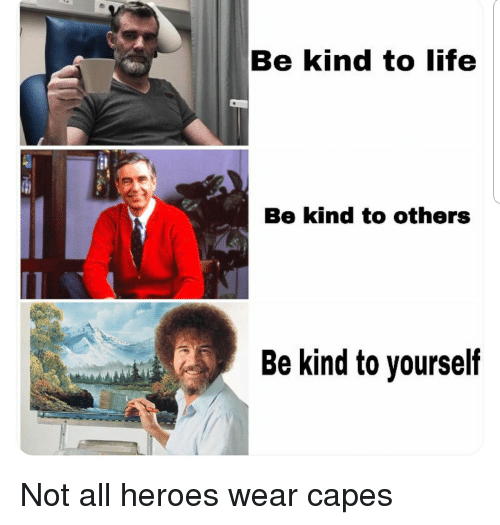 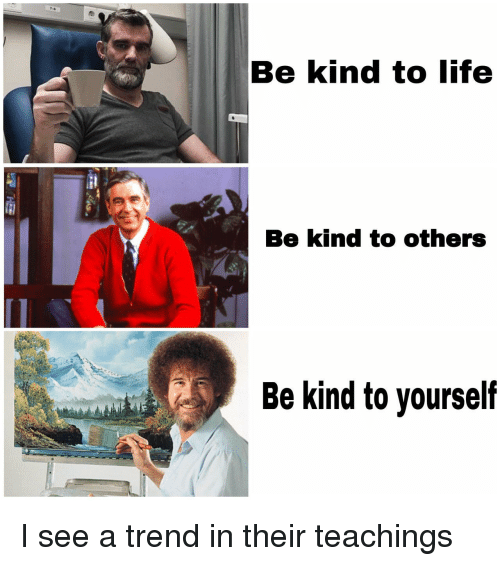 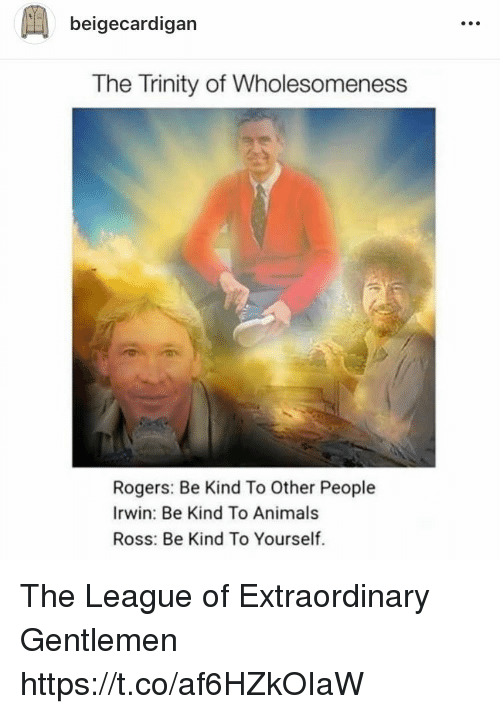 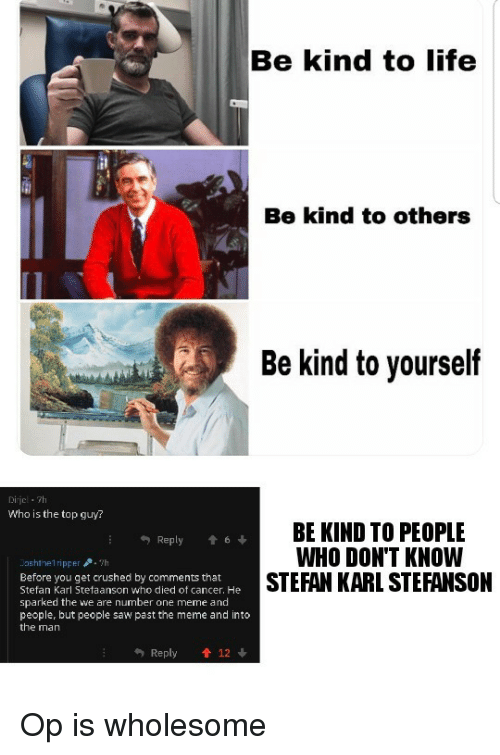 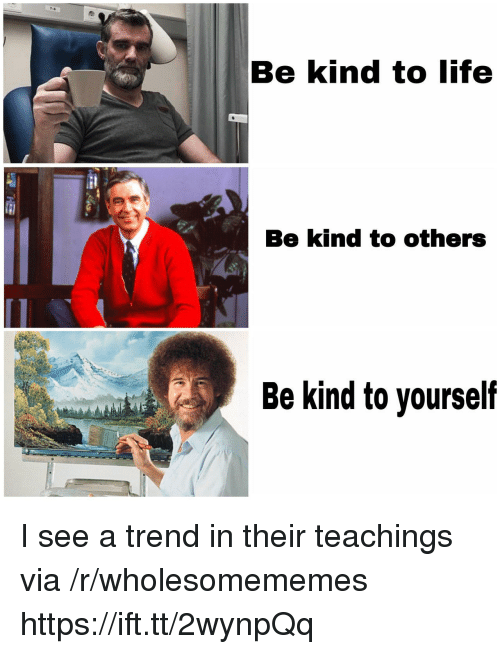 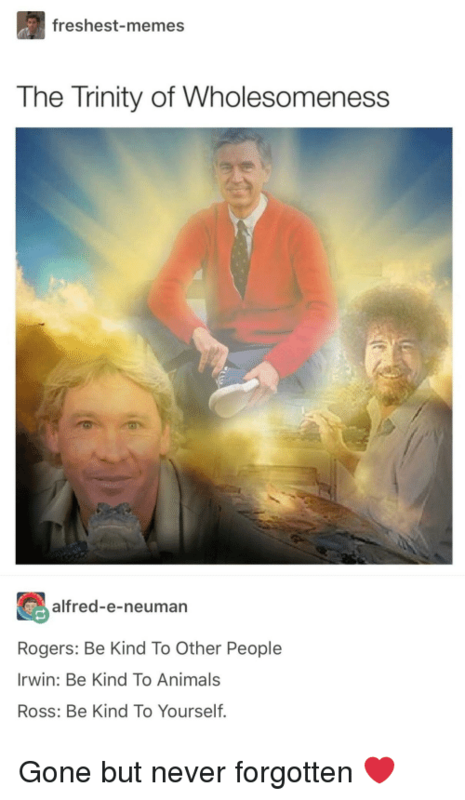 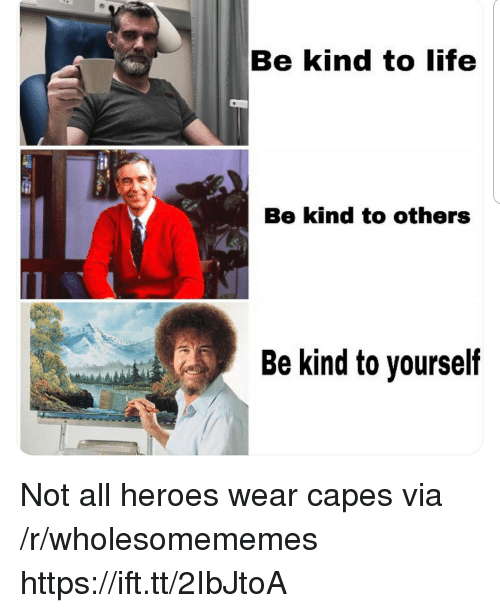 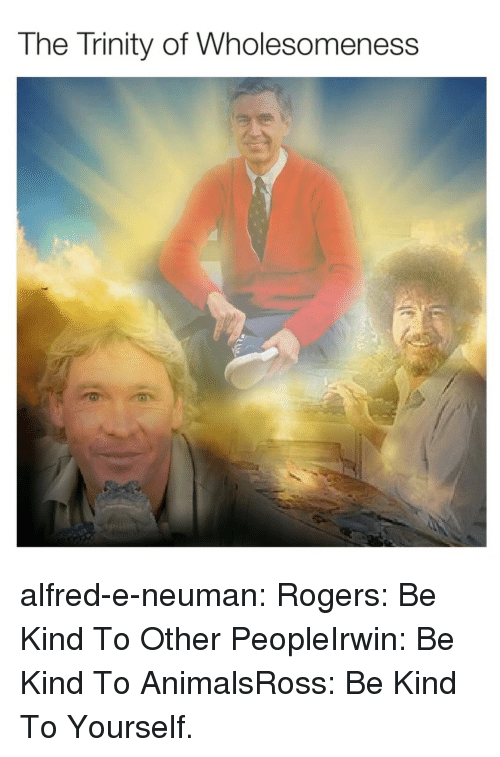 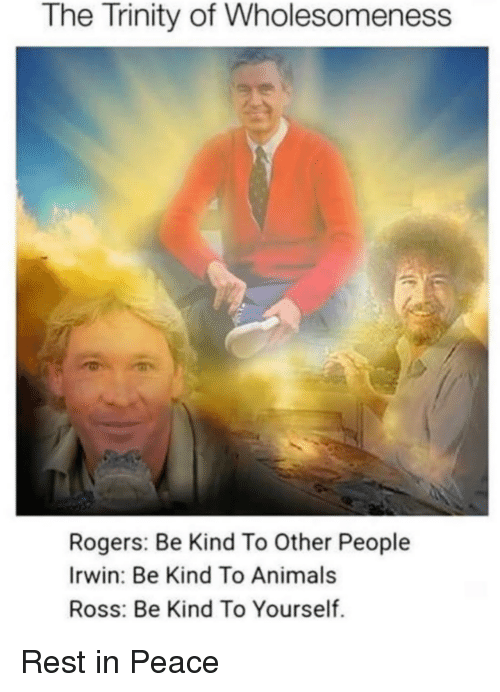 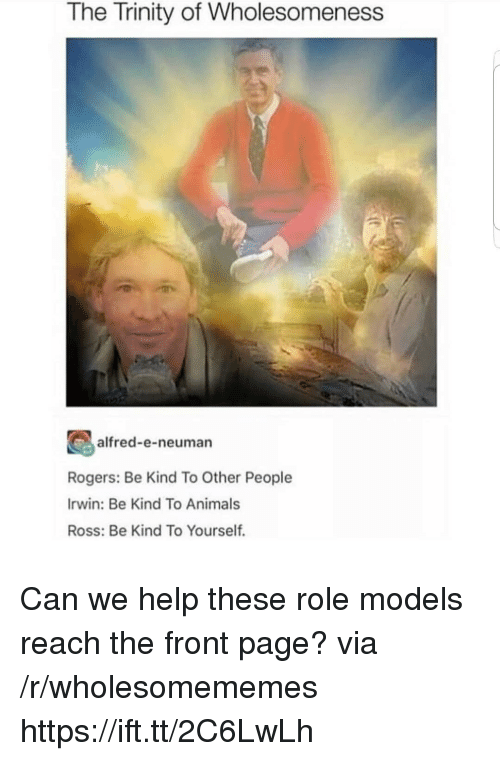 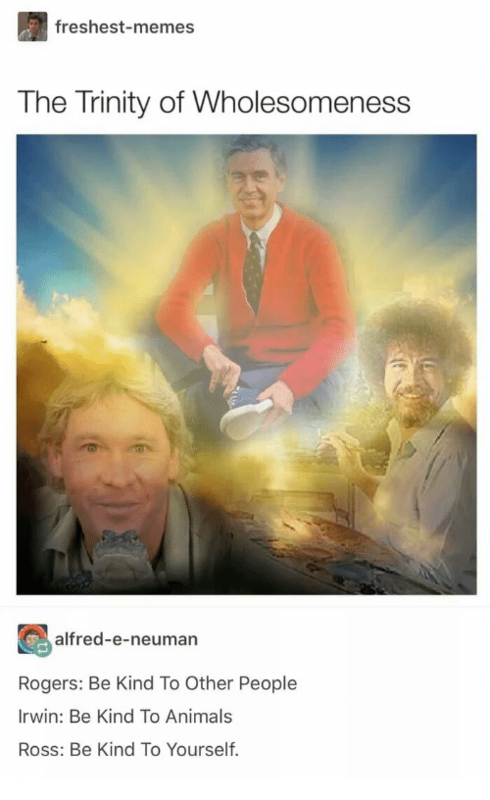 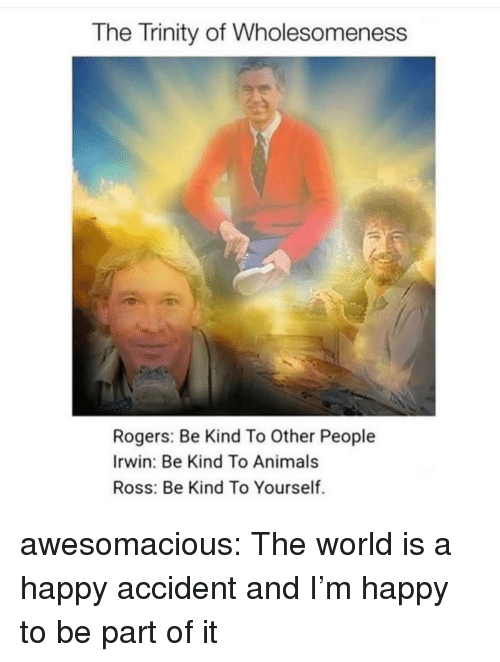 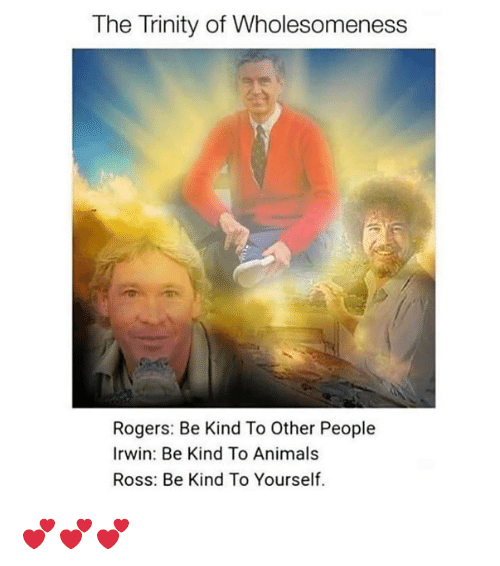 Animals, Memes, and Ross: freshest-memes The Trinity of Wholesomeness alfred-e-neuman Rogers: Be Kind To Other People Irwin: Be Kind To Animals Ross: Be Kind To Yourself. 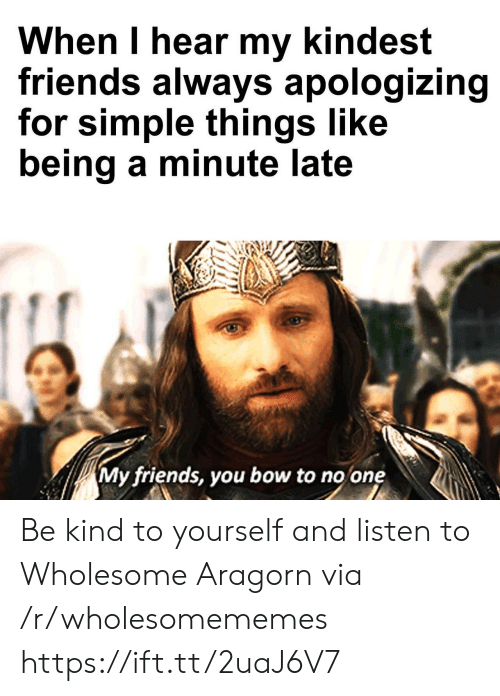 Animals, Tumblr, and Blog: The Trinity of Wholesomeness alfred-e-neuman: Rogers: Be Kind To Other PeopleIrwin: Be Kind To AnimalsRoss: Be Kind To Yourself. 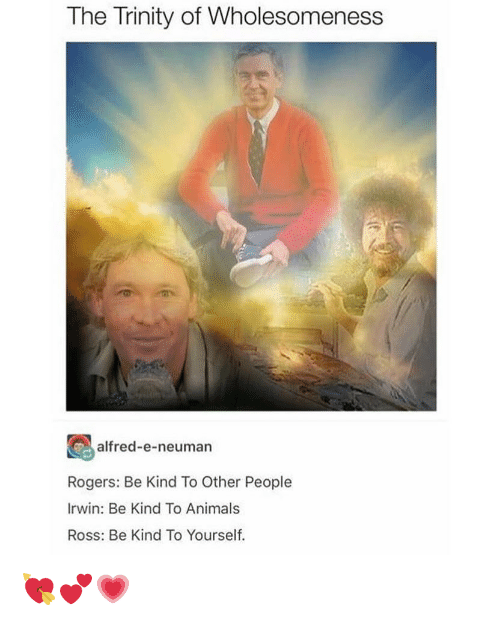 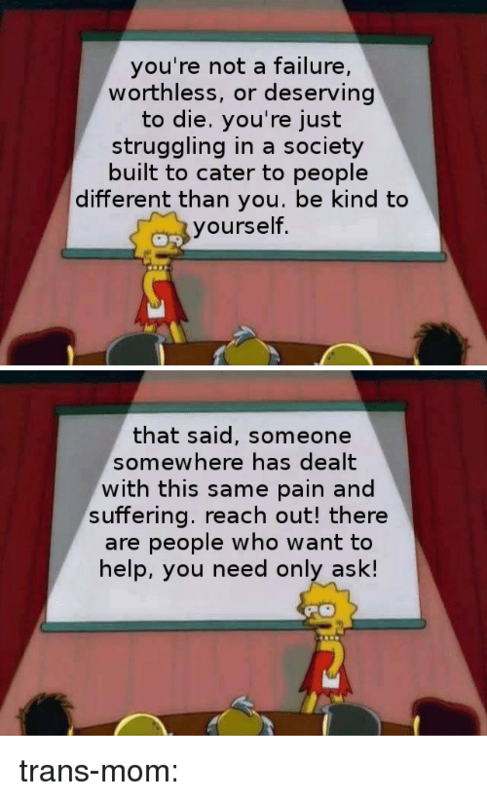 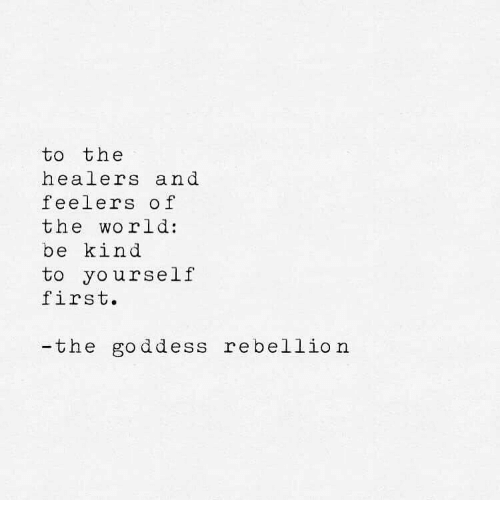 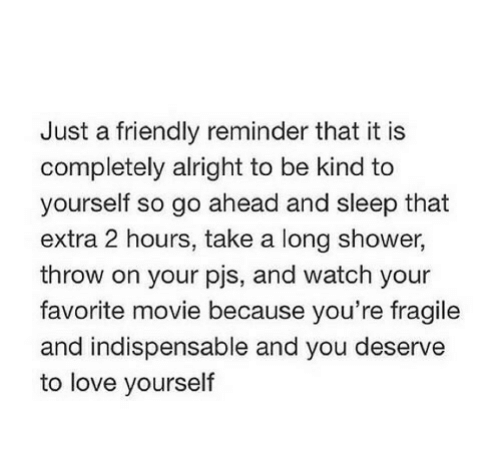 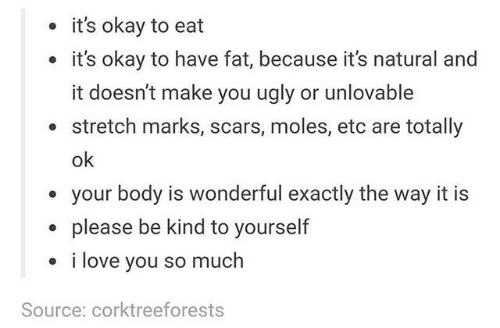 alfred-e-neuman: Rogers: Be Kind To Other PeopleIrwin: Be Kind To AnimalsRoss: Be Kind To Yourself.